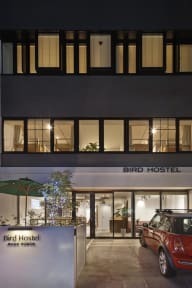 Bird hostel is in Kyoto city which is the heart of Kansai area. It is located next to the Impearl Palace which is a beautiful location for tourist to see and experience Japanese culture. It is located within walking distance of most temples, shrines, museums, and shopping. The bird hostel is a delightful place where our guests can have a drink and communicate with other patrons and locals. The main feature of the bird hostel is to share experiences. Our guest have many opportunites to communicate with other guests in our friendly dormrooms, where they can relax and enjoy the beauity of Kyoto. Our largest dorm room located on the second floor has a beautiful view of the Dimaru estate. From this room our guest can sit and enjoy the four seasons. Our hotel also offers private rooms and a private room for a family of four. The private rooms also have a beautiful view where families and couples can also enjoy the four seasons. Our hostel has 5 dormitory rooms and four private rooms. Our hostel can serve 78 guests. Our hostel has a cafe bar. The cafe bar is open daily. It in the afternoon it serves as a cafe and in the evening it serves as a bar, in the evening people from Kyoto can drink, eat, and communicate together with our guests. 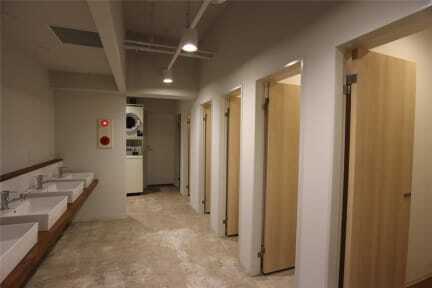 The hostel is located in a very convinent location near Kyoto's main street Karasuma Street. If you want to use a bike, we offer bike rentals at our hostel. Amazing hostel! Very clean, friendly staff, cozy dorms (was staying in the 30 bed one) with spacious bed, comfortable mattress and private locker) - the location was incredible, 30 second walk to the subway, 2 stops away from the downtown area, 7/11 100 metres away and loads of cheap (but good) food places under 5 minutes walking distance! Nice breakfast included and loads of bus stations for all the nice sights right around the corner! Would stay again 100%!